Newberg, Oregon is located approximately 25 miles southwest of Portland, Oregon, the state’s largest city. Newberg was incorporated as a city in 1889. 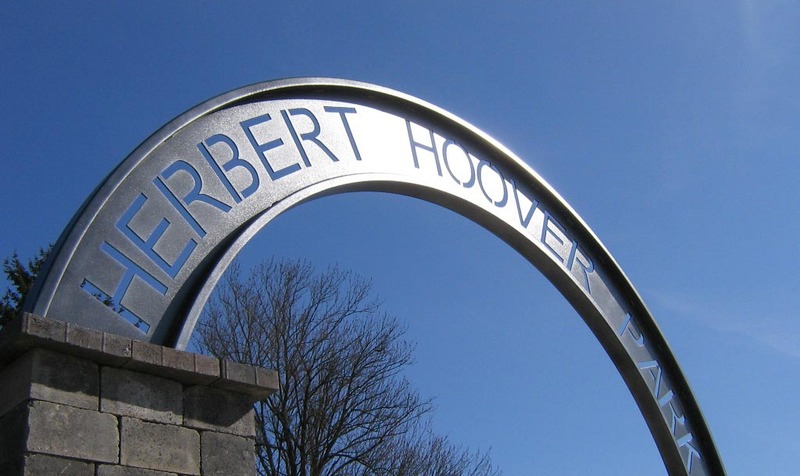 One of Newberg’s most famous citizens is United States President Herbert Hoover. An agricultural community from its beginning, Newberg is surrounded by gorgeous farmland, bordered by the Chehalem Mountains and Willamette River. This green environment is a benefit for all who live and work here. Newberg also enjoys a broad-based economy and is a terrific ‘jumping off point’ for countless outdoor activities. A 90 minute drive from Newberg can take you to the Oregon Coast, the Columbia River Gorge, or the Mt. Hood wilderness. Between these diverse locations is mind-boggling range of activities, including fishing, beach-combing and clam-digging, hunting, wine-tasting, hiking, swimming, hang-gliding, windsurfing and so much more. There are plenty of unique indoor activities throughout our region, too. Newberg and the greater Portland metro area offer restaurants, shops and a wealth of new experiences. A drive south to Salem provides additional cultural wonders, with much local history and the Oregon state capitol. If you travel to Salem from Newberg, consider taking the countryside route there for a 45 minute drive you won’t forget. Simply drive southwest from Newberg on Highway 99W for a few minutes, then turn south at Dayton, Oregon on Highway 221, which becomes Wallace Road as you approach West Salem. A trip from Newberg to Salem in sunny weather is indeed a gorgeous drive through some of Oregon’s most beautiful country. If you feel adventurous, about halfway to Salem on Highway 221 hitch a ride for a few dollars (pedestrians are free) across the Willamette River on the Wheatland Ferry. Then view historic Willamette Mission Park, the first mission for Native Americans founded in 1834 by the Reverend Jason Lee, who also founded Willamette University. 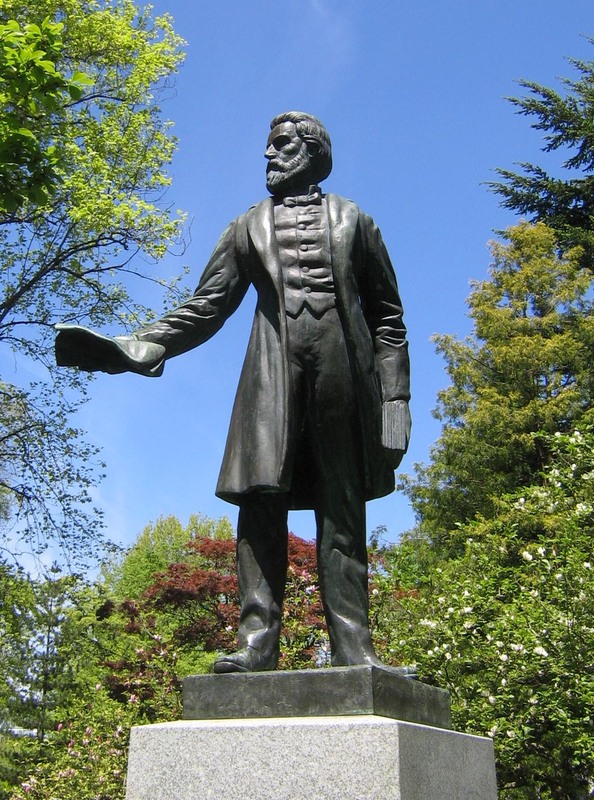 Jason Lee statue-Oregon Capitol grounds. To finish the trip from Willamette Mission Park to Salem, simply hop onto the I-5 Freeway for the rest of the way heading south. From there you might consider having lunch in downtown Salem and tour the Oregon State Capitol. The above sites are located outside Newberg, yet provide perspective on neighboring Willamette Valley communities. With an elevation of around 175 feet above sea level and reasonably close to the Pacific Ocean, Newberg residents enjoy a moderate climate. The average high temperature is around 65 degrees Fahrenheit and the average low temperature is approximately 39 degrees Fahrenheit. The local growing season is approximately 174 days. The annual rainfall averages about 42 inches. Newberg is a community with a wealth of natural beauty. It also includes good public & private schools for all ages, including George Fox University, along with the world class Providence Hospital, plus plenty of restaurants, coffee shops, multiple movie venues and wonderful public facilities like the well-stocked Newberg Libraryand Newberg’s sizable Chehalem Aquatic Center. Friendsview Manor is a well-recognized senior community. Newberg is located a reasonable commute to large cities with employment opportunities. This makes Newberg a popular ‘bedroom community.’ But whether one works and lives in Newberg, or is simply visiting, you’re sure to find many enjoyable opportunities throughout the 97132 zip code.